I'm using Umami profile and choose Spanish is default language. Almost of the interface has been translated into Spanish. But some places did not translate like user page. I'm going to admin/config/regional/translate to check. But This text already translated, but UI still show English text. I try debug to find the reason. 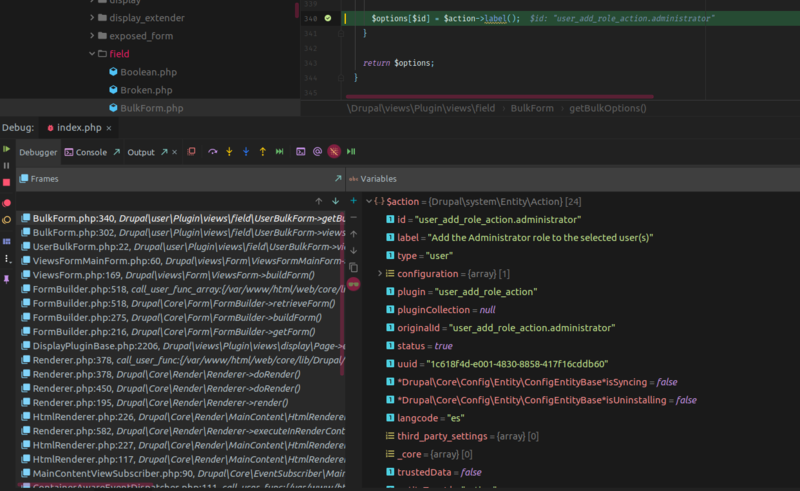 I was break point at line 340 of line drupal/core/modules/views/src/Plugin/views/field/BulkForm.php and found that $action->label() return English string. Because at line 116 $this->actionStorage->loadMultiple() return all actions. In this some actions return English string, some actions return Spanish string (example install module pathauto, this action return Spanish). All actions when install profile will using English text and module install after will be translate. I don't know why. And How to can translate label of actions? 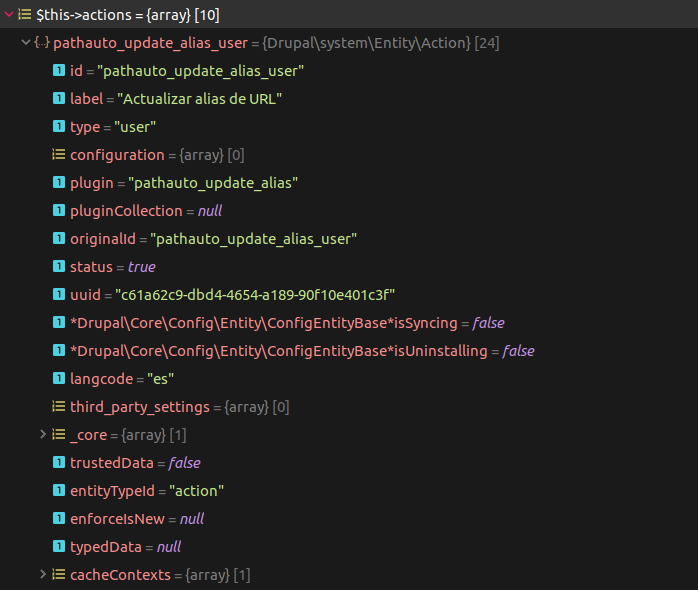 To translate action labels install the core module Actions and go to /admin/config/regional/config-translation/action. Actions are config entities, which you can translate in an exported config as well, if you don't want to install the UI option. Not the answer you're looking for? Browse other questions tagged 8 i18n-l10n or ask your own question. Are HTML strings translatable through admin/config/regional/translate? Can global user interface translations be used for views translatable strings?